The parachute is an object that is so smart and well-designed that it’s hard to imagine the world without it. Indeed, some form of parachute has been envisioned and/or used since Leonardo da Vinci’s time. 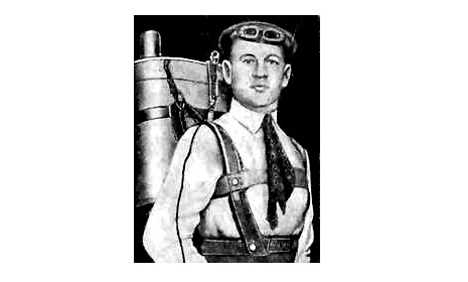 But the modern backpack parachute has only been in use since the early 20th century, and it’s all thanks to a Russian actor named Gelb Kotenikov. Kotenikov was inspired to improve on the parachute design after witnessing the tragic death of a pilot in an air show. 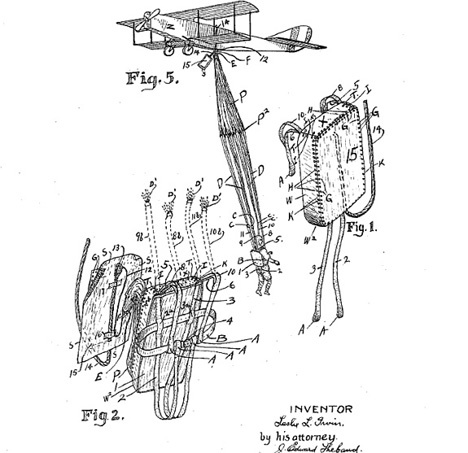 Contemporary parachute designs were actually connected to the plane via a series of strings, a solution that was nearly as dangerous as a potential fall. Kotenikov knew that his new, safer design would have to be attached to the pilot at all times and would need to have an automatic trigger in case the pilot was unconscious. He experimented with all types of devices, from a parachute helmet to a parachute belt, but finally (and wisely, we think) settled on a hard-side backpack to carry the chute. The invention, called the RK-1 at the time (for Russian Kotenikov 1), attached to the plane via a cord that would activate the chute when the pilot was a certain distance from the aircraft. Sadly for Kotenikov, he never received widespread recognition for his design. The Russian military at first feared that their pilots would bail out and abandon their planes at the first sign of trouble, destroying expensive equipment. Kotenikov took his design to Europe where he hoped to develop wide distribution of the RK-1, but one of his prototypes was stolen and copycat parachutes began popping up all throughout Europe. 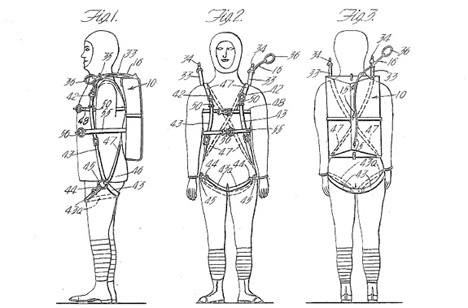 By the time World War I was underway and other people took over the development and refinement of the parachute design. Kotenikov never got the acclaim he deserved, but his ultimate goal of saving lives was achieved – and we like to think the actor-turned-inventor was satisfied enough by that. See more in History of Tech or under Vintage & Retro. March, 2013.